Phu Quoc island is an attractive tropical heaven in the south of Vietnam featuring a lot of beautiful sandy beaches and diving sites. So, the demand of accommodations in Phu Quoc for tourists is very large, and here is the list of excellent beach hotels in Phu Quoc for your consideration. 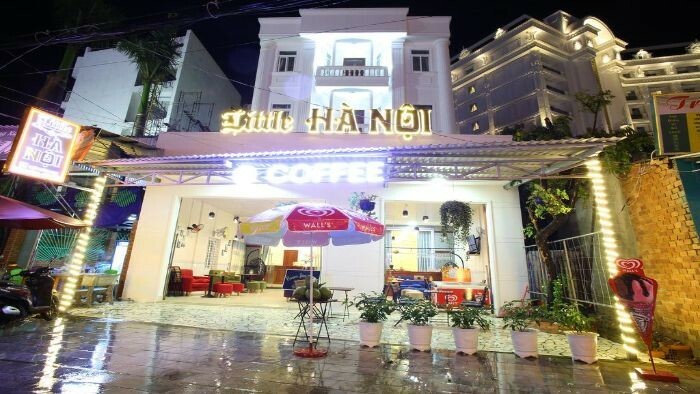 Little Hanoi Hotel is located on Phu Quoc Island, a 14-minute walk from Sung Hung Pagoda, 19 km from Vinpearl Land Phu Quoc and 1.1 km from Su Muon Pagoda. This hotel has a terrace and free Wi-Fi. Each room at this hotel has a work desk, TV and wardrobe, while private bathrooms are equipped with a shower and free toiletries. Reception staff communicating in Vietnamese and English are always available to provide information about the area whenever you need. Phu Quoc Night Market is 1.3 km from Little Hanoi Hotel. The nearest airport is Phu Quoc International Airport, 5 km away. Duong Dong is a great choice for travelers interested in dining, beach walks and local food. Brenta Phu Quoc Hotel offers accommodation in Duong Dong town. There is also a bar and free WiFi on site. Rooms feature air conditioning, a TV and a safe. Bathroom with shower. Slippers and hair dryers are also provided for guests ’comfort. 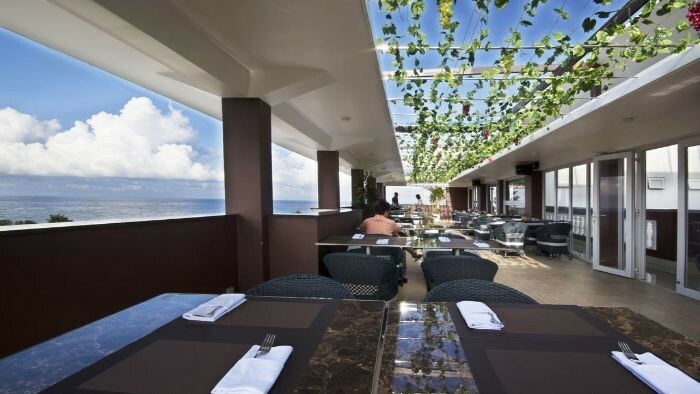 Brenta Phu Quoc Hotel is 200 meters from Coco Bar and 400 meters from the Coi Nguon Museum. The nearest airport is Phu Quoc International Airport, 4 km from the hotel. Airport shuttle service is available in the hotel at an extra charge. The hotel has a 24-hour front desk. Plus, the hotel also features other amenities including a fitness center and a business center. The hotel also offers bike hire. Guests can enjoy food and drinks at the on-site restaurants and bars or choose room service. Nesta Phu Quoc Hotel offers beachfront accommodation in Duong Dong town. It features an outdoor pool, an on-site restaurant, a bar and free Wi-Fi in all public areas. Nesta Phu Quoc Hotel is 1.5 km from Su Muon Pagoda, 1.8 km from Coco Bar and 4 km from Phu Quoc International Airport. Air-conditioned rooms are fitted with a flat-screen cable TV, kettle, slippers and free toiletries for guests ’comfort. Guests can head to the 24-hour reception for tour arrangements, ticketing and special assistance. Airport pick-up services are arranged upon request at a surcharge. 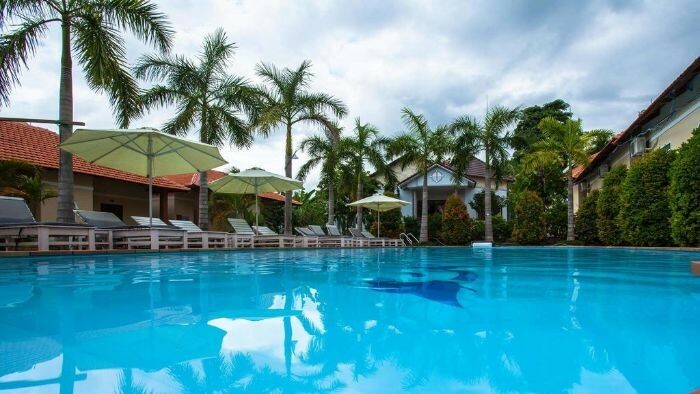 Located in Duong Dong town, just 5 km from Phu Quoc international Airport, Paradise Resort welcomes guests with 2 outdoor pools and free Wi-Fi access. The rooms are spacious and equipped with full air conditioning. The property offers guests separate bedrooms, a living room with seating area and cable TV. Private bathroom facilities are equipped with a hairdryer and slippers in the bathroom. Paradise Resort is about 6.5 km from Suoi Tranh. Guests can also visit Coco's Fish Sauce and Diving Center, both less than 2 km from the resort. Staff at the 24-hour front desk can communicate fluently in English and Vietnamese. Both mini supermarkets, free parking facilities and luggage storage services are available on site. Room dining options are available upon request. Blue Paradise Resort is nestled in tropical gardens and offers simply furnished rooms with free Wi-Fi in Duong Dong town on Phu Quoc Island, a 4-minute walk from Long beach. Guests can enjoy soothing massages at the spa center. All air-conditioned rooms have wooden furniture, tiled floors and mosquito nets. Each room is also equipped with a mini fridge, a fridge and a flat-screen TV. Private bathrooms have shower facilities. Guests can participate in a variety of activities, including sightseeing, snorkelling, fishing and squid fishing. Staff at the reception can assist guests throughout the day with luggage storage, laundry and car / motorbike rental services. The hotel is a 5-minute drive from the city center and Long Beach. Guests drive 10 minutes to Phu Quoc International Airport. Along the beautiful beaches in Phu Quoc is the gorgeous hotels and resorts, so you will not be worried about your stay when coming to Phu Quoc. If you need further information about this list, feel free to contact us. Thank you! Which one will be your next Vietnam destination, Phu Quoc or Nha Trang? Where will you choose to visit this summer, Phu Quoc or Mui Ne? Phu Quoc or Vung Tau - Which one is a better choice? Hoi An or Phu Quoc - Which one is more worthy visiting in this summer?